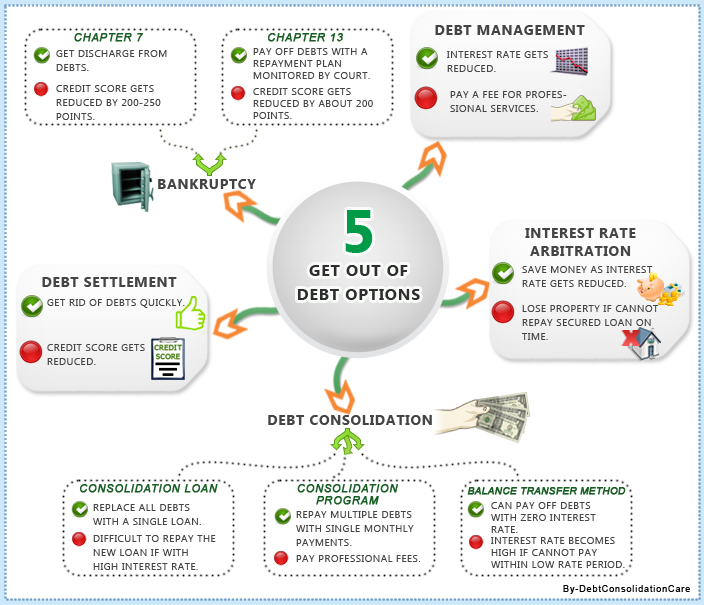 The get out of debt infographic shows the 5 ways to unload your debt burden. The infographic highlights the benefits and drawbacks of each get out of debt options. Analyze them and choose the one that is most suitable for you.